Kimball products never disappointed their customer with the quality of their products. 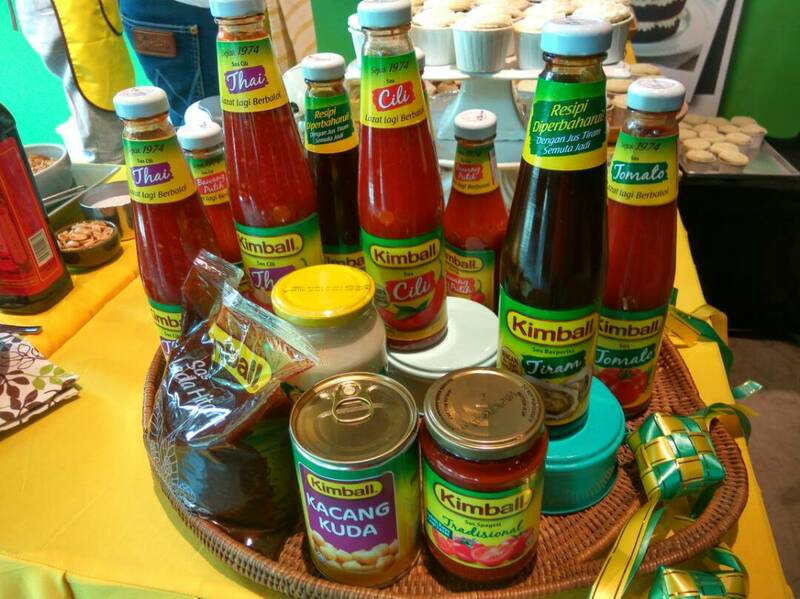 Indeed Kimball has become Malaysian favourite choice of products. I do use Kimball for my daily meal preparation. Kimball has more than 40 years in Malaysia and understands the issues faced by mums especially this upcoming Hari Raya. Due to the downsizing of our economic, mums would need to plan their budget wisely for Hari Raya. 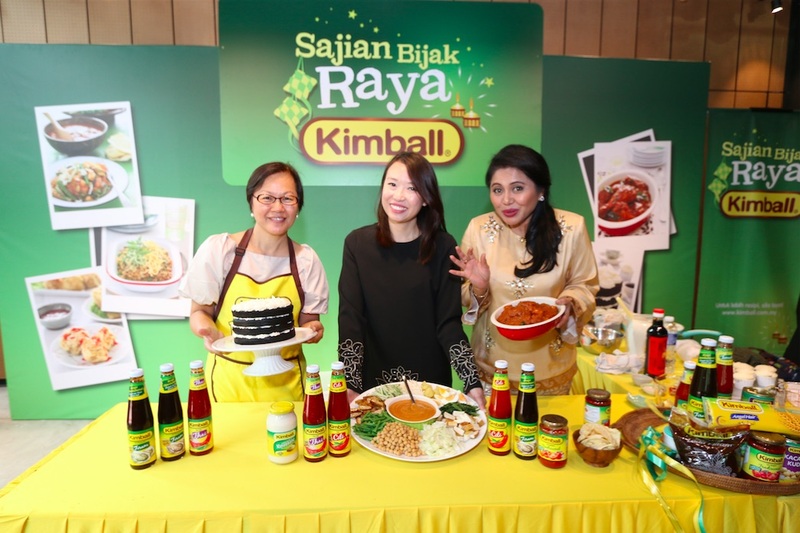 Kimball collaborates with Chef Rohani Jelani to create "Sajian Bijak Raya" menu and recipes, to introduce a smart way to host a Raya spread while reducing hefty cost. With a budget of RM100, you able prepare a delicious and scrumptious 5 course Kimball Raya (2 appetisers, 2 main courses and 1 dessert). 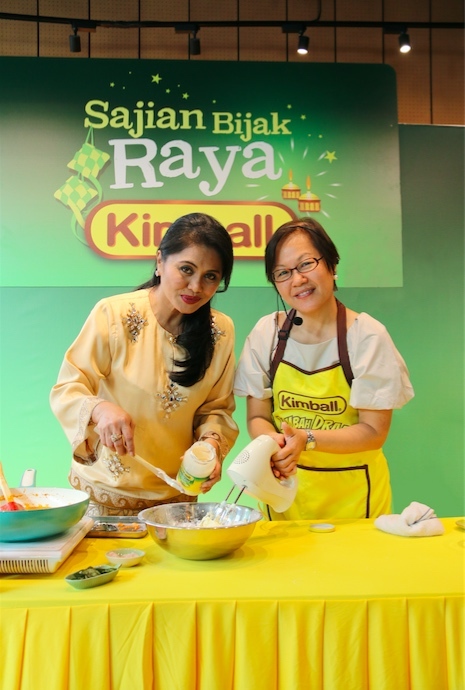 A popular celebrity host Raja Azura and Chef Rohani will do the live showcase for " Sajian Bijak Raya". *Special feature on my blog as I will share the recipes with you. 1. Place chicken in a large mixing bowl and marinate with Kimball Oyster Flavoured Sauce, Kimball Black Pepper Sauce, chilli powder and cumin. Set aside 10 minutes. Place ginger, garlic and onions in an electric blender with ¼ cup water and grind finely. Set aside. 2. Heat oil in a large pan or wok over medium-high heat. Add mustard seeds, cumin seeds, cinnamon and curry leaves. When mustard seeds pop, add blended ingredients and cook, stirring constantly, until mixture begins to brown. 3. Add chicken (together with any marinade) and stir-fry until chicken pieces are firm – about 15 minutes. Add Kimball Traditional Spaghetti Sauce and 1 ½ cups of water. Bring mixture to the boil and then turn heat down to medium-low. Cook, stirring every now and then until chicken is tender and sauce thickens – about 20 minutes. Season with salt to taste. 4. Serve immediately while it’s hot. 1. For sauce: Heat oil in a pan and fry chilli paste over low heat until well cooked and oil separates. Add Kimball Black Pepper Sauce and Kimball Chilli Sauce. Cook 5 minutes, then add coconut milk and water. Bring to the boil before adding in finely ground peanuts. Cook 10 – 15 minutes, stirring occasionally until sauce thickens. Season to taste with salt. 2. Arrange prepared salad ingredients on a large platter nicely. 3. Serve with sauce in a separate bowl. 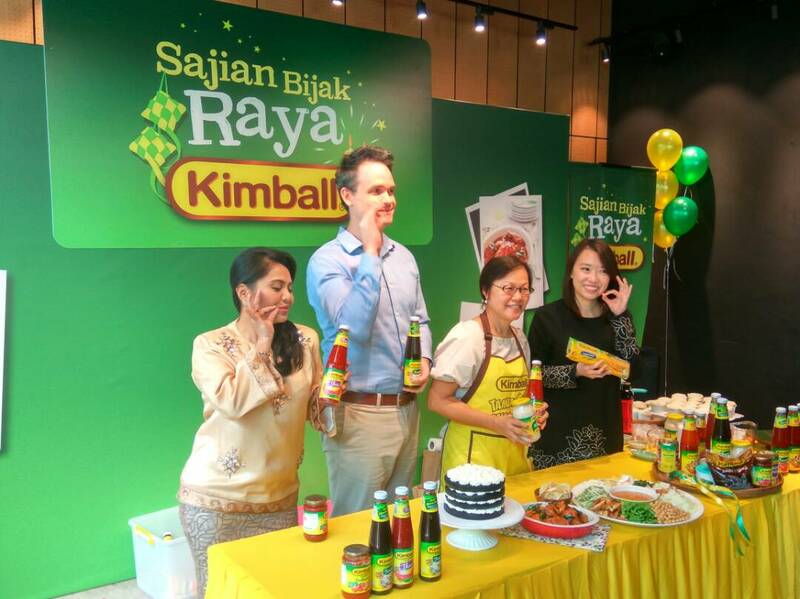 These Sajian Bijak Raya Kimball were specially create using quality Kimball products. The menu includes the unique combination of Kimball Festive Gado-Gado and Kimball Stuffed Tofu Fritters as starters, Kimball Kerabu Fried Rice and Kimball Chicken Masala as the main course and the distinctive Kimball Black Velvet cake as dessert. According to Ms Tania Lee, Category Manager, Campbell Soup Southeast Asia Sdn. Bhd., Kimball understands that with the rising cost of living, mums are looking for effective ways to stretch every ringgit spent for Raya preparation. 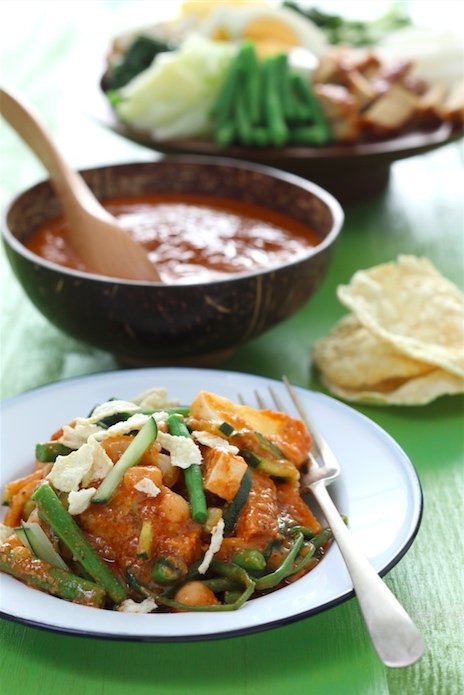 “We developed the Sajian Bijak Raya Kimball recipes to help mums in stretching their budgets. 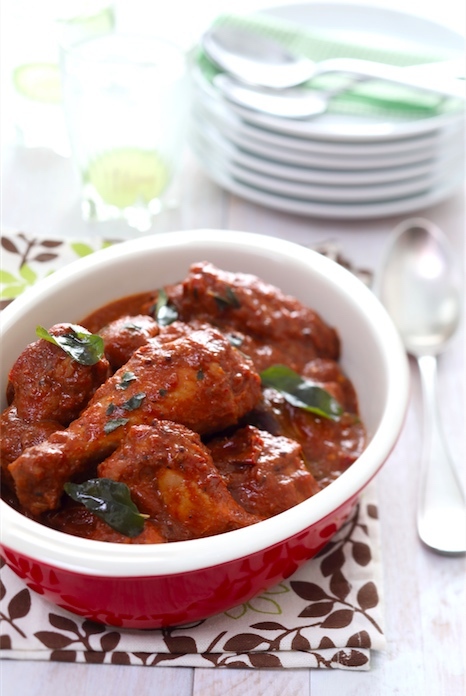 With only RM100, mums can comfortably serve restaurant-like quality Raya dishes to their guests. With savings on meal preparations, mums can spend more on other Raya preparation such as ‘duit raya’ and festive clothing for the family, house decor and so much more,” said Ms Lee.